4th April 1968 and Maya is preparing for her 40th birthday party when she hears Martin Luther King has been assassinated. After Martin Luther King's assassination, it's James Baldwin that helps Maya out of her devastation. Maya goes onto produce a big television documentary series and then gets a call from a publisher at Random House inviting her to write an autobiography. She refuses repeatedly, until the publisher calls her bluff. Joyous and haunting, mysterious and memorable - her life story is incredible. Intriguing facts about her extraordinary life. Maya’s life, work and wisdom inspired many people to achieve great things too. Astonishing words from one of the 20th Century's most iconic writers and poets. 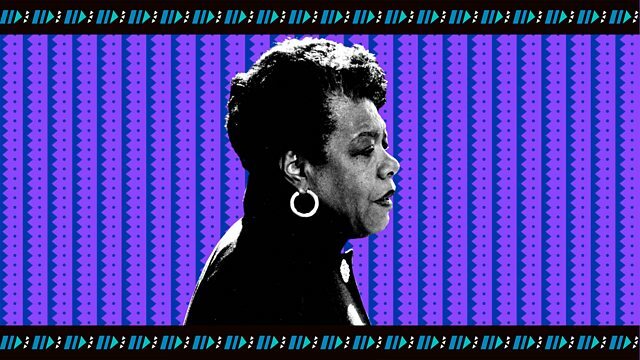 Dramatisations of Maya Angelou’s autobiographies, plus specially selected archive.